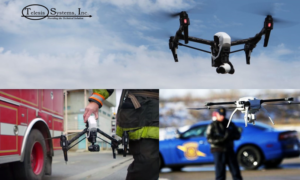 Telesis Systems, Inc. provides Routine and Emergency (SUAS) Drone Support Services for Public Safety Professionals such as Law Enforcement, Fire and EMS. If you need (SUAS) Drone services for your next mission, please do not hesitate to contact us with a brief description of your service needs. Please select and enter your information under the "(sUAS) Drone Service Request" link below. Please specify, in "Your Message", the details of your service request. For Emergency Service Request, Please call 301.627.5000. Once received, one of our UAS Mission Specialist will contact you as soon as possible.